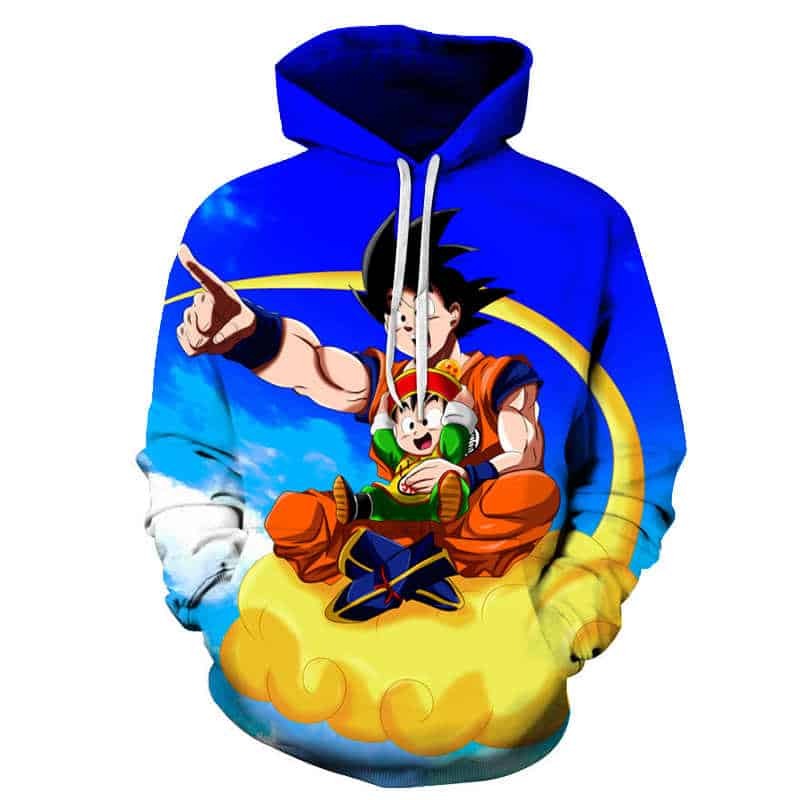 A cool Dragon Ball Z hoodie. A beautiful print of Goku flying in the sky, capturing the imagination of this fantasy world. 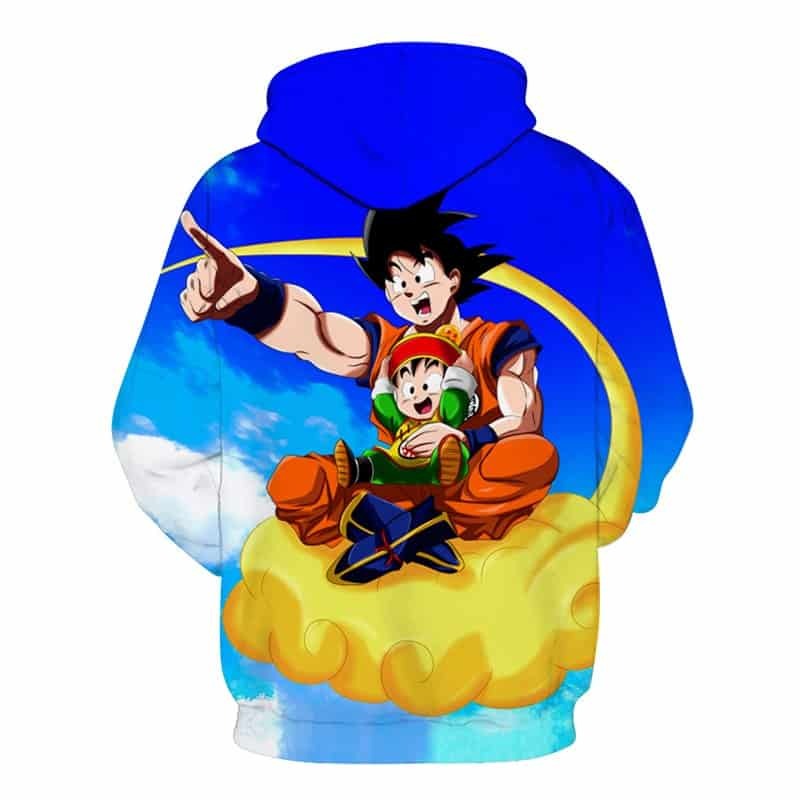 A must have Dragon Ball Z hoodie for any fans out there.